Prominent & Leading Manufacturer from Vadodara, we offer humidity measuring instrument, humidity and temperature meter, humidity meter, humidity temperature data logger, humidity & temperature data logger and rh data logger. Backed by a team of creative and skilled designers, we are highly engaged in manufacturing and supplying an excellent range of Humidity Measuring Instrument. Used in measuring the humidity and temperature, this instrument is designed using superior quality components and modern technology in adherence with industry norms. In addition to this, customers can avail this instrument from us at industry leading prices. Under the strict supervision of our experienced professionals, we are offering an innovative collection of Humidity And Temperature Meter. Used to indicate ambient air condition, offered meter is availed in different sizes, designs and specifications for our clients to choose from. The provided meter is precisely designed using the finest quality components and ultra-modern technology. Moreover, this meter can be availed from us at pocket friendly prices. 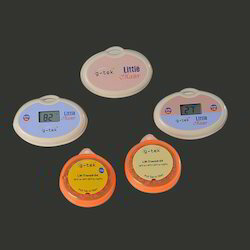 Being a well-established organization, we bring forth an excellent assortment of Humidity Meter. Our offered meter is widely appreciated in the market for its accurate design and high strength. 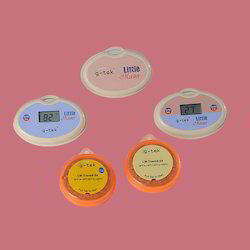 Used for measuring and displaying temperatures, this meter can be availed in different sizes, designs and specifications. Our provided meter is manufactured by our adroit professionals utilizing quality proven components and cutting edge technology in adherence with industry norms. Our organization has a very modern and sprawling infrastructure which has all the latest and sophisticated facilities to manufacture beat-in-class Humidity Temperature Data Logger. Our offered data logger is manufactured from the best quality components and ultra-modern technology in sync with industry norms. While manufacturing this data logger, we lay prime emphasis on the performance and quality of the product. In addition to this, clients can avail this data logger from us in different sizes and designs. 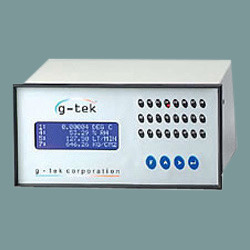 G-Tek data loggers are Easy to Use, Accurate and Affordable solutions to monitor and record temperature, temperature and humidity – environmental parameters that are critical to a wide variety of industries. It is available with PC connectivity through USB port. Little Master Series - Reusable Data Loggers, that measure. Little Master Transit Series - One - time use temperature data loggers. Looking for Humidity Measuring Instrument ?